Is it better than the Samsung's Galaxy S5? The leading smartphone company has taken the wraps off the Galaxy K zoom, which in essence is a Galaxy smartphone that has a 20.7 megapixel camera bolted to its back. The improved optics has resulted in a weird hybrid device we like to think of as Dr Frankenstein's monster: a series of perfect parts that, when put together, gives birth to an abomination. The primary use of the K zoom will be as a smartphone, but it is crippled by a series of compromises. Compared to the similar Galaxy S5 it is more than twice the thickness at 20mm, heavier at 200 grams, and has a smaller 4.8in screen with a lower 720x1280 resolution. Less compromise has taken place on the inside of the smartphone. Technically the K zoom has six processing cores: a 1.7GHz dual-core CPU is used for non-intensive tasks, and a more powerful 1.3GHz quad-core CPU. These CPUs work concurrently — not simultaneously — to improve the overall efficiency of the smartphone. Also on board is 2GB of RAM and a relatively stout 8GB of internal storage. (Fortunately the K zoom supports microSDXC memory cards up to 64GB.) Powering the smartphone is a 2430 milliamp-hour battery. Connectivity is commendable as the K zoom supports 4G networks, dual-band Wi-Fi (802.11n), near field communications (NFC) and the latest 4.0 version of Bluetooth. An additional perk is Samsung’s ultra power saving mode, which disables superfluous features in an effort to conserve battery life. For example, the mode delivers 24 hours of additional battery from just 10 per cent of charge when enabled on the Galaxy S5. How much better is the camera compared to the Galaxy S5? The niche customers who buy the K zoom won’t do so because it has a higher 20.7 megapixel count than the Galaxy S5’s 16. Nor will they find the 60 frames per second Full HD video recording much of a draw when the Galaxy S5 is capable of recording Ultra high definition videos. Just two reasons make the K zoom a worthy buy. The first concerns the improved imaging sensor. The CMOS sensor featured in the K zoom should deliver better quality photos. Typically the slim profile of smartphones prohibits such a feature. The second draw is the K zoom’s 10x optical zoom. 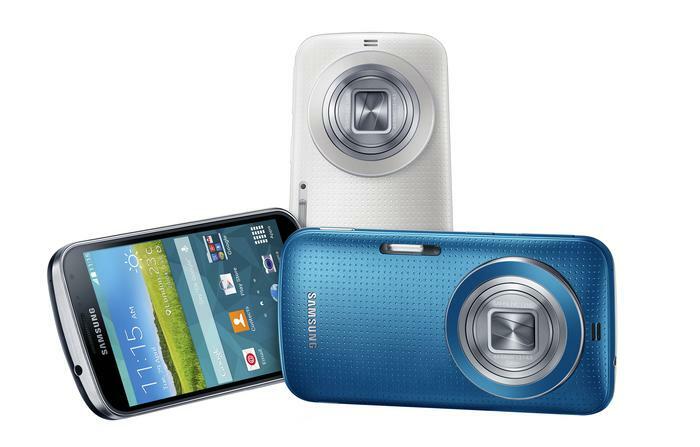 The Galaxy S5 digitally crops photos in an effort to simulate a zoom effect. This means the zoomed photos taken with it are smaller in size. 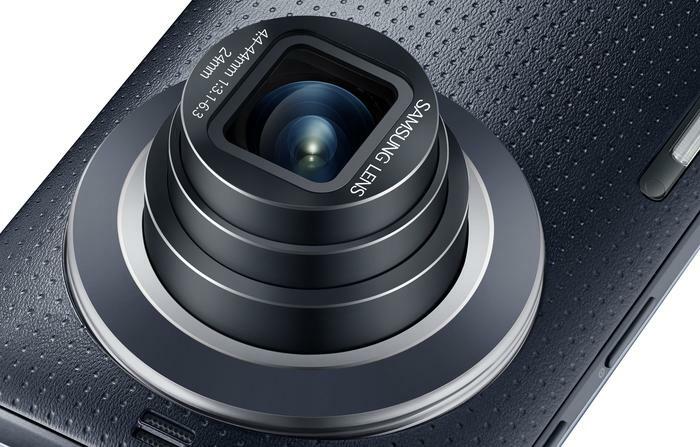 Comparatively, the K zoom’s 10x optical zoom will capture 20.7 megapixel photos even when zoom is engaged all the way. The lens itself goes from 24mm at the wide angle all the way to 240mm when zoomed. Australia is one of the countries that will sell the K zoom. 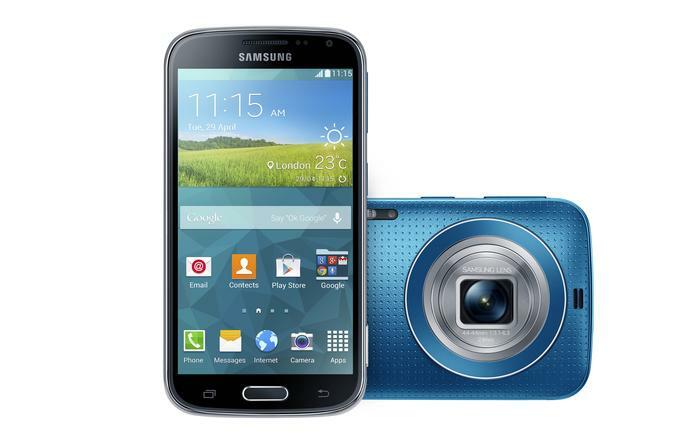 Samsung estimates that the camera-specialised smartphone will be launched in the coming months. Pricing and exact availability details will be announced closer to its local release.